When choosing a title i thought of “Scruff Justice” and i ran it past an old friend. He said using that phrase made it sound like a bad thing and that something isn’t fair. I agreed that it was a bad thing and wasn’t fair….if you were either a fish or and angler without any of these patterns filling out your box! That last line stuck with me for pretty much the majority of my fishing life. I remember feeling a little disheartened as a teen as this was a guy you would be trying to impress as you attempted to break into more adult social circles which included well renowned local fishing legends such as Bill Armstrong, Stevie Munn and Bobby Bryans. These were the guys we wanted to learn from, fish with and impress. However i was mature enough to realise he wasn’t questioning my ability nor my tackle, but more my tactical approach to catching more trout. Not that Abby had any vendetta against rainbows but I always got the impression that he appreciated the thrill of the chase when it came to targeting a wild fish. Going back to the point, other than attractor patterns which work well later in the season, big bright multi-coloured feather patterns just weren’t on the menu for most early – mid season trout and as Abby pointed out, it was the duller, more natural shades of olive, brown, grey and claret that tended to tease the little river trout out that bit better. Time and time again, Willy Kinnaird, Andy McClelland and myself would tag along and fish until our scruffy, little flies soon became unravelled by trout teeth and even then they still out fished the more extravagant or perfectly tied flies in our boxes. This reminiscing provoked and ignited my later passion with tying nymphs. My first introduction with Scruffy Dubbing was coming across some really unique looking shuttlecock buzzers and nymphs on Social Media. They were, scruffy, but well tied and definitely had that ‘fishy look’ about them. More importantly they looked natural. I found myself asking different flytyers very amateurish questions about which dubbing they used. It was absolutely no coincidence at all that they were all namedropping Andrew’s Scruffy Dubbing. That was reassuring that in a very competitive market I was able to tell the brand by simply looking at it. How could I do that? You can look in a colour blend and see random natural strands of blues, yellows and reds which don’t impact the overall colour of the bag contents, but subtly make you aware that it has been blended which certainly adds to that unique natural scruffy look. Dubbing is dubbing though, right? Not really, you can have natural or synthetic. Natural being that it comes off an animal and synthetic obviously means that it has been manufactured. Natural dubbing can come from most mammals. If they are predominantly water based, you find their fur tends to have more water repellent properties and therefore more suited for dry flies or other surface patterns. If they are more land mammals, their fur tends to take on and hold water more and are more suited for nymphs. These are often dyed at the very most to add variety. Synthetic dubbing is obviously becoming more and more popular, given its ability to be customised to the needs of the fly tyer. While it is not uncommon to see natural looking versions, these predominantly include more bold colours, given their ability to be dyed any colour, and often come infused with blends of tinsel and other colours which drastically change the surface appearance of the fly. The more colour and more sparkle could simply be the difference in attracting or agitating a fish to the point it wants to take! I personally prefer the natural blend myself as it allows me to create more natural buggy versions that I would see when invertebrate sampling within my own river catchment. The best thing about the range, is it is developed with the traditionalist in mind. The guy (or girl) who likes to go natural for the wild fish. That’s not to say they won’t take farmed fish too, but you get the idea I am trying to put across. There are no luminous or bold colours such as chartreuses and hot oranges, instead a very subtle range of olives, browns, clarets and orange which really appeals to me as a flytyer. In otherwords it really appeases the fishing purist who still doesn’t believe in bright colours. As stated previously your chosen colour will include subtle infusions of randomly coloured coarse fibres, which stand out. That imperfection seems to perfect the look of Scruffy Dubbing. The texture itself is a superb blend of soft and coarse fibres. The soft fibres are somewhat essential to bringing the coarse fibres and securing them to the thread. That’s to say once they are wrapped around the hook, they will stick out like a sore thumb (in a good way of course!) and hey presto you have just discovered the appeal of scruffy dubbing. In summary, really easy to tie with. I am not alone with this one opinion as it appears to be shared by most who tried it at one of our Social Flytying events. The beauty of scruffy dubbing is that you can tie 2 of the same pattern with the material and although similar, they won’t look the same. There’ll be the odd colourful strand or textural difference that will differentiate. As a result, my flybox now resembles a school photo of very similarly dressed kids, with different hairstyles! Yes. Once the lands of County Antrim began to defrost from an everlasting winter and continuous waves of “Beasts from the East”, i started to have success. Sustained success. That’s another point i would like to touch on. Customer service from Andrew was second to none. We chatted a lot and still do! He kept me on the ball helping me with sourcing materials, prices, tying tips, patterns and when the customer service is as good as the product itself, of course you are going to come back! You buy a product and make a friend. This is not an opinion that only i hold myself, Andrew’s reputation in angling circles is well established and well respected and it’s certainly reassuring to see reputable anglers swearing by his dubbing. 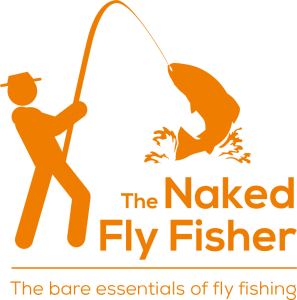 I am not guaranteeing you that these flies will catch more fish as a lot of that depends on one’s ability, the conditions and the presentation, but i am guaranteeing that when fished right, you will catch more than you normally do. – Not enough hours in a day to fish and tie! Andrew Ellis has been fly fishing for over 40 years, tying before he could even fish! Not satisfied with the variety of dubbing on a commercial scale, Andrew found himself blending them to get exactly what he wanted and even that was not enough! He soon began to develop a blend of rabbit, hare and squirrel with a few other fibres which resulted in a nice easy to dub product. Where can you buy it? See the Facebook link below and send a message.